This will be my third adventure into National Novel Writing Month. My first two were “wins” as in I wrote 50,000 words in 30 days, however, they have stayed in their not-quite-fully-realized draft state since their conception and that is not what I hope for this year’s novel. Like my very first novel, this idea somewhat landed on my doorstep. Well, more like it showed up for my dad in the garage. I’ve been thinking about it for months and it has turned into a twisted saga of super-fun proportions. Because it has more twists and turns, characters and settings than my previous work, I wanted to approach it in a new way. I have decided to add a little more plotting to my plantser and try something completely out of my element. Before last week, I had never had a Tarot deck; I had no idea what any of the cards meant and I would have never imagined using the cards. However, I was reading Jumpstart Your Novel by Mark Teppo which talked about plotting with the Tarot and my writing buddy was talking about using Mapping the Hero’s Journey With Tarot: 33 Days To Finish Your Book by Arwen Lynch to plan her NaNoWriMo novel, so I came up with an idea. I found printable color your own tarot cards on Tarot Taxi and decided to create my own tarot deck. I love symbolism and as I go through the month, using the cards to plot my novel, I plan to artistically collage them with my own imagery. If you’re not interested in coloring and creating your own cards and would like to buy a deck, you may want to look at some of these Tarot cards. To learn the meanings and interpretations of my cards, I went to Psychic Library.com while I waited for some library books that I put on hold. I cut a selection of scrapbook papers to 1/2″ larger than the tarot images on all four sides then cut out and glued the images onto the papers. I let the images choose which paper design worked best with them. For the laminated backing I chose to cut different portions of Victor Bilibin’s painting of a Knight who hacked off the heads of a three headed dragon. I love the colors and had a bunch of stickers to recycle. I watched some YouTube videos on learning the meaning of the cards and how to do a reading while I made all the cards. In Jumpstart Your Novel by Mark Teppo it shows how to use the Celtic Cross spread to plot scenes in your novel. Here is my first reading. Though it looks like I might not have shuffled by the amount of wands and swords in the reading, I assure you I shuffled a ton. The cards actually make sense for my character and my story. I was pretty impressed. I’ll be doing both the Celtic Cross readings and The Hero’s Journey reading from Mapping the Hero’s Journey With Tarot: 33 Days To Finish Your Book by Arwen Lynch throughout NaNoWriMo. So what do I have planned to stay motivated this year? All sorts of fun stuff. I learned from #Writober that I like combining lots of different prompts, so every day this month, I’ll be providing visual prompts, word prompts, poetry prompts, a poem, a tarot card reading, writing exercises and everything else that I find inspiring. This year I donated to NaNoWriMo and received a prompt poster. Many of the prompts are geared more toward short stories, but some of them will make their way into my daily posts. I also bought the Writer Emergency Pack which is a deck of cards with prompts that I’ll be mixing in. Like #Writober I’ll have specific headings that I’ll repeat every day and a daily poem. Unlike #Writober, the days will not be random. I have a plot-structure method to my madness. Each day will follow the Hero’s Journey and I will also try to map it to the story beats of Save The Cat! and the Simple Tasks of Fast Fiction: A Guide to Outlining and Writing a First-Draft Novel in Thirty Days . I have pulled out all of my references for this (literally; the house is a mess) and will be pulling inspiration from all my favorite resources. If you like something I’m referencing, it will most likely have come from one of the books in the list below. Click the link, and get yourself a copy to enjoy all year long. Books on Writing: These are the books I’ll be using and referencing this month. I hope you’ll join me and find lots of inspiration here at Experience Writing! Marketing: A little outside the box. 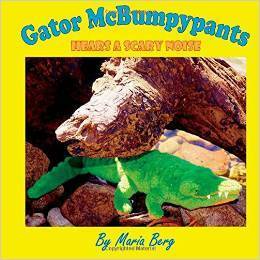 Gator McBumpypants and Herman’s First Movie is on Gator McBumpypants’ Youtube.com channel. 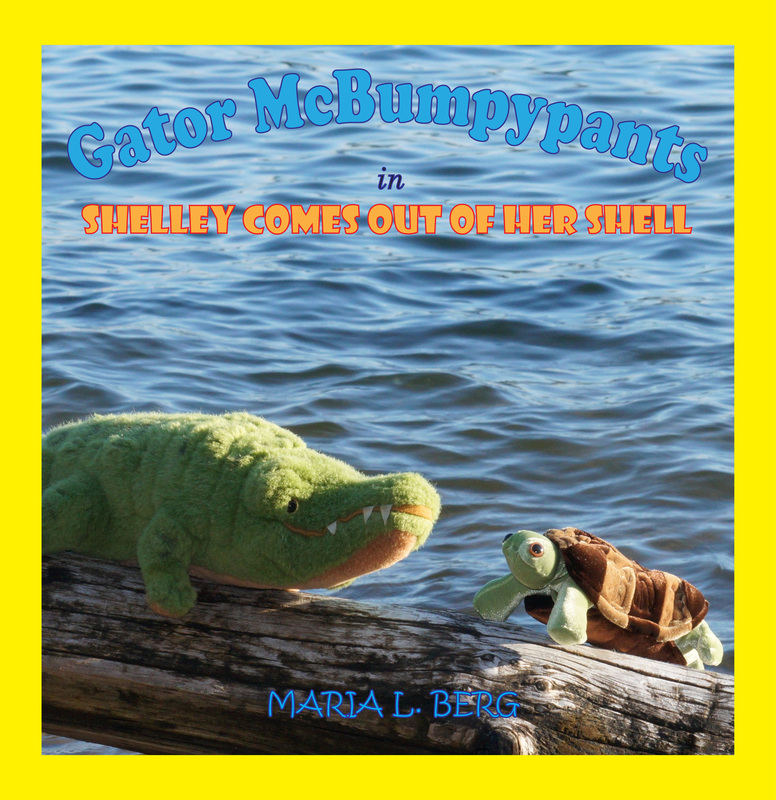 Since my writing life is completely consumed with promoting Gator McBumpypants Hears a Scary Noise this week, I’m jumping off schedule and continuing to talk about promoting your book. I announced my kindle free days everywhere I could think of yesterday, so how do I keep the internet’s attention today? I stepped away from writing today and explored a couple other art forms. I took some pictures that didn’t get used in the books (book 2 coming soon!) and made a little youtube movie. One of the fun things that you can do with google+ is create a youtube channel. I made one for myself and a separate one called Gator McBumpypants and Friends. Making the movie in Windows Live Movie Maker was pretty straight forward once I figured out that I could speed up the picture rate by using fractions in the duration box. The hardest part was picking some music since the program didn’t include music editing and just started the music choice from the beginning. Luckily, I have a large library of music I wrote, so I don’t have to infringe on anyone’s copyright. I also went over to RedBubble,com and made some Gator McBumpypants merchandise. What about a fun T-shirt? or a lovely tote bag? or enjoy your hot beverages with Gator McBumpypants and his friend Herman the baby pterodactyl. RedBubble is a great site where I’ve set up a portfolio of my photography. They will put my photos on a variety of merchandise including t-shirts, sweatshirts, stickers, cards, pillow covers and the adorable items shown here. All would make great gifts! It is also, yet another social media site with a nice journal entry space where I’ve been letting people know about my kindle free days. So, to sum up, book promotion doesn’t have to be hitting people over the head with your book and free kindle days announcements, it can be fun promotional art projects that then give you an excuse to go post about them on all your social media sites. Anyone else found promotional ideas that are a bit outside the box?